Gleeson Agencies provide high-end and low-end quality printers at affordable prices. Our lines of stock include Meto, Sato, Zebra and Datamax O'Neill Thermal Transfer and Thermal Direct barcode and label printers. Some common uses for thermal printers are barcode labels, despatch labels, packaging labels, nutrition labels and ingredients labels. This desktop printer is "highly suitable when quality labels are required in moderate volumes without complicated installation". Barcode labelling software is included with the printer. Sturdy construction, metal casing industrial printer. Barcode labelling software is included with the printer. providing economical low volume printing for retail, medical and manufacturing applications. The printer is easy to load and prints up to 4" per second and a free label design software package is included. Portable printer producing a quality label Easily prints a myriad of information including barcodes.Optional battery pack enables the 2.5kg printer to be easily transported and used without the need for a power cord. Inbuilt formats can be used or personalised labels can be set up with ease. Available in thermal direct only. Mid-Range Industrial printer is built to meet the needs of the Logistics and Manufacturing industries and has been designed to provide the most affordable solution for everyday label printing. The durable design and sturdy metal chassis provide rugged performance and ease of use in warehouse and factory environments. Equipped as standard with both thermal transfer and thermal direct capability and available as either 203 or 305 dpi, the LM4 uses an advanced high-speed 32-bit processor and prints at speeds of up to 150mm per second. The new e Series of CL printers brings the latest in technology to the world of Thermal Label Printing. The CLe Series printers offer high speed data transmission, unparalleled processing speed and large amounts of on-board memory to quickly and easily manage any label printing requirement. The CLe Series printers set new benchmarks in label throughput. A new generation RISC processor provides high performance in label production even when printing directly from standard Windows. The GL408e industrial, high performand printer provides the most affordable printing solution at the ideal cost-value combination for low-to medium-duty manufacturing, supply-chain and retail barcode and RFID applications. SOFTWARE is the simple solution for printing barcodes, text, and graphic images. It supports over 30 barcode symbologies, True Type fonts. 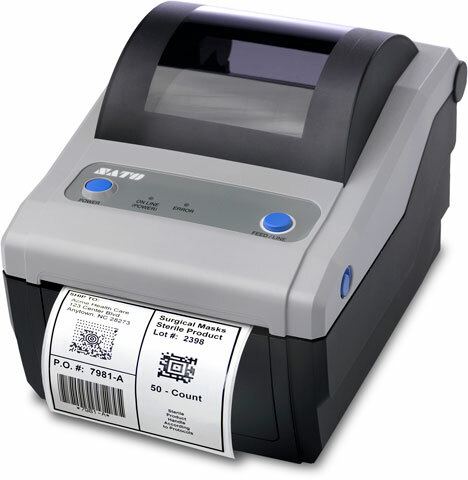 It gives you the "power to design and print barcodes and labels with ease and flexibility". Label Gallery is a powerful and versatile software labelling tool designed by professionals for professionals. No matter what your labelling needs are, the user friendly, powerful and versatile Label Gallery is ready to boost your operational productivity and profitability. Meto, Datamax, Zebra and Sato Thermal Printers can now be serviced and repaired by Gleeson Agencies.